What happens to the political support when severe economic crisis coincides with the geopolitical victories and patriotic uprising? Do citizens assess the state of national economy through the prism of the rally around the flag’ more indulgently or economic troubles throw some cold water on the national revival? These questions are of particular relevance in authoritarian regimes where incumbents have more of a leeway in manipulating the national economy. This study explores the variance in political support in Russia after the annexation of Crimea in the context of economic crisis and sanctions by means of a survey experiment carried out in August 2016 on the eve of the elections to the State Duma. The main findings suggest that respondents’ evaluations depend on the respondents’ political attitudes towards Crimea joining Russia, perceptions of economic situation, and prove to be sensitive to the priming. Ifound no boosting effect of the Crimea priming on the evaluation of institutional performance when asked about the economic crisis (the euphoria effect), while the economy priming increases the support of the president and decreases the support of the State Duma (no hangover effect). Thus, perceptions of economy do not produce hangover effects, but rather facilitates further consolidation around the president. The State Duma does not benefit from ‘the rally around the flag’ and even gets punished. The respondents praise the president and the government for successful foreign policy and punish the government and the State Duma for failures in economy. The role of mass media is dubious: frequency of TV watching does not produce any significant effects and the frequency of Internet use does not reveal significant results either. While trust that the information on TV is objective plays a crucial role. Those who trust the state media assess all three federal institutions significantly higher. 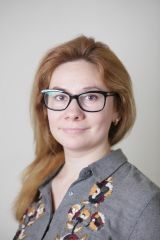 Evidence from the focus groups suggest that Russian citizens struggle in an attempts to identify the field of competence and responsibility between the federal institutions, they often deem themselves as not sufficiently competent or experienced to make any informed judgement regarding institutional performance. At the same time, informants demonstrate the patterns of selective evaluation – the State Duma and the government are subjects to evaluation, but not the president; and selective rewarding and punishment – the government get punished, but also benefits from the rally around the flag, while the State Duma is never rewarded for foreign policies. Thus, the rally effects may unintentionally undermine institutions under non-democratic regimes, however this statement requires further exploration.